I am glad to see some of my muslim dishes are popping up in popular category...Most of them are given by my best friends.They make awesome feast during iftar and eid..I am blessed to have such good people in my life.The appam recipe is shared by aysha who can blow up any simple dish into awesome one.And my well known best friend ayeesha riaz makes the best food from baklava to all sort of middle eastern food..We just love talking about the cooking for hours..She is the one who will be awake till one o'clock to do her last prayer of the day and of course the woman born to say limited words.. 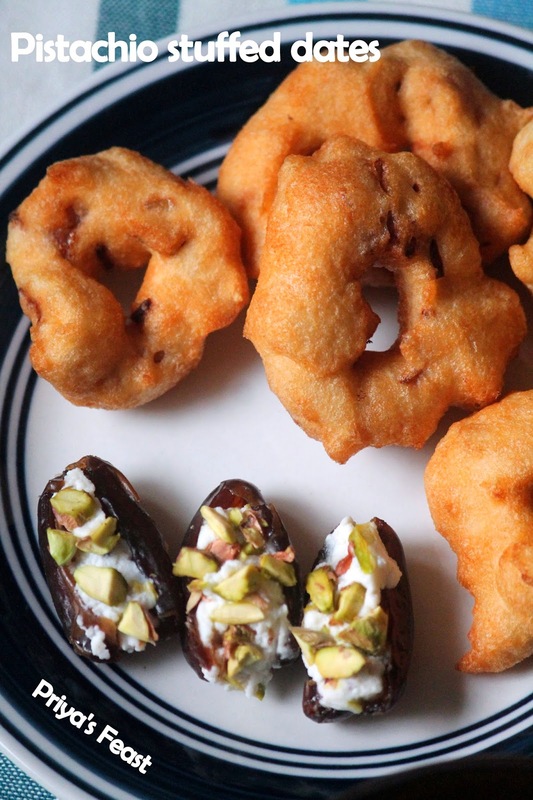 Since some of the ramadan dishes are popular,I thought i can extend the list and share few more recipes..So,keep watching this space..Almost every muslim breaks the whole day fasting with dates and all the iftar feast includes the dates. wow perfect for fulfilling snacking.